Born 5-Feb-2018. Dam is Grade 1 winner of the Brazilian Oaks, and half-sister to dual Grade 1 winner Stockholder, and Grade 2 winners Selecta and Say It Again. Granddam is Broodmare of the Year and full sister to Horse of the Year and Champion 3yo Filly Sweet Eternity, also full-sister to Champion Miler Suspicious Mind, half-sister to dam of G1 winner Starman. Third dam is G1 winner Sweet Honey. Born 15-Feb-2018. Half-brother to G2 winner and G1-placed Great Hot. Family of Champions Family Style, Hold That Tiger and Trapper, Grade 1 winners Hennessy, Pearl City, Editor's Note, Lost Kitty, Field Cat, G1-placed Island Kitty, Shy Tom, Sovereign Kitty, Indescribable, Arkadian Hero, Devotee, Folk, Spendent, Springing Leopard, etc. Born 1-Apr-2018. 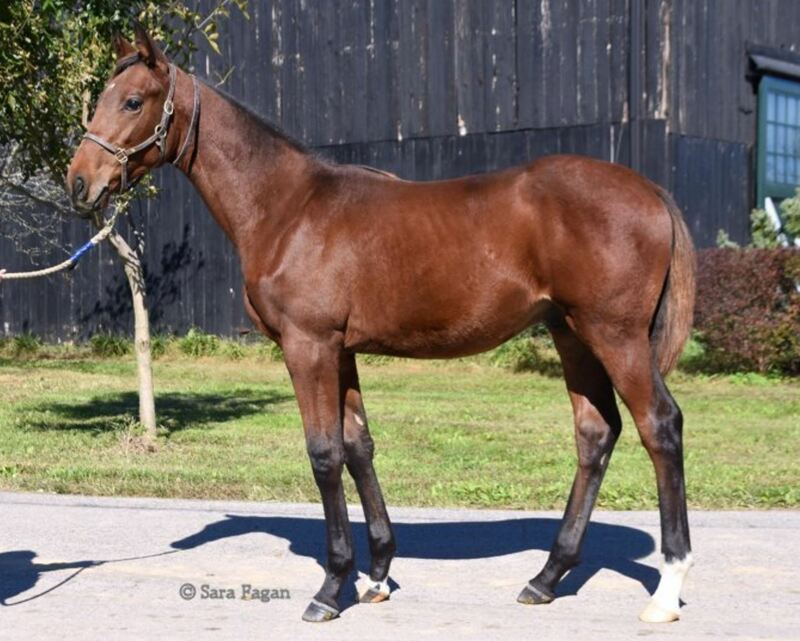 Dam is Champion Filly in Uruguay at 3, G1 winner of the Polla De Potrancas (Guineas), full sister to a Champion. Second Dam is half to a Horse of the Year. Born 12-May-2018. Sire is Irish 2000 Guineas winner and runner-up in Arlington Million. Dam is stakes winner and G2 placed at Keeneland. Filly is half-sister to winners Pickford and Rocking The Boat. Born 10-Aug-2017. Dam is Grade 1 winner at 2 in South Africa. Family of Champions Starcraft and Taras Bulba, Grade 1 winner Turfcutter, Graded stakes winners Happy Heiress, Happy Harriet, Happy Spirit, etc. Born 15-Sep-2017. Dam is winner of the East Cape Oaks and full sister to Grade 1 stakes winners Nania and Red Ray, and Graded stakes placed Vermillon. Second dam is half to multiple G1 winners Set Afire and Rudra. Born 26-Sep-2017. 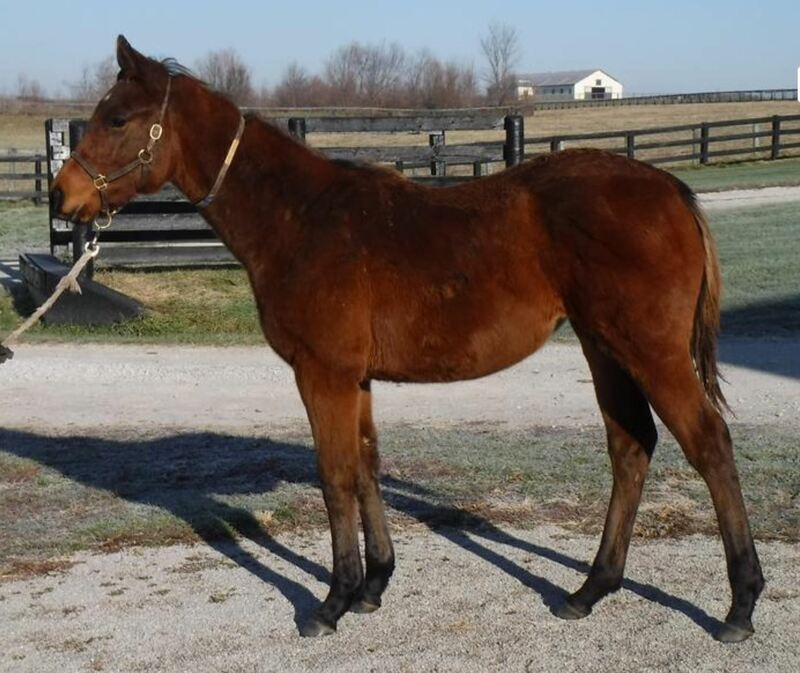 Half-brother to stakes-placed Hostwin Galaxy. Sire is multiple G1 winner in England and France. Dam is Grade 2 winner and Grade 1 placed in South Africa; Grade 3 winner at Santa Anita; beaten nose in Grade 1 Cape Fillies Guineas; stakes-placed in Dubai. Family of Grade 1 winner Forest Indigo, and G1 horses Pavlovich and Bi Pot. Born 5-Oct-2017. Dam is winner at 2 in South Africa. Second Dam is Grade 2 stakes winner and Grade 1 placed in South Africa. Born 13-Oct-2017. Half-sister to Champion Talenta, from the immediate family of Champion Caerleon, Grade 1 winners Vision and Scan, Grade 2 winners Merce Cunningham, Yonder, Lundy's Liability, etc. Born 16-Oct-2017. Dam is multiple Grade 1 stakes winner and half-sister to G1SW Captain's Lover. Born 20-Oct-2017. Dam winner of the Grade 2 Sceptre Stakes and the G3 Diana Stakes. From the same fabulous Pfif family as Champions Captain's Lover and Ebony Flyer, and East Cape Oaks winner Eros's Girl, etc. Born 5-Nov-2017. Half-sister to East Cape Oaks winner She's A Pippa, and black-type earners Bountiful Harvest and Icy Fire. Dam is Grade 2 stakes winner by nearly 9 lengths; second dam is GSW. Family of Champions Devon Air, Falcon Jet and Victorina, Grade 1 winners August Rush, etc. Born 12-Nov-2017. Dam won the East Cape Oaks. Family of Champions Devon Air, Falcon Jet and Victorina, Grade 1 winners August Rush, Graded stakes winners Cream of the Crop, Miss October, etc. Born 20-Nov-2017. Dam is G3 stakes-placed in the Prix Du Cap and the Diana Stakes. She won 3 times and placed 12 times in her career. From the family of stakes winner Nilgiri and British stakes-placed winners Royal Quartet, Belfalas, Quarterings, Minorettes Girl, etc. Born 22-Nov-2017. Dam is winner of the East Cape Paddock Stakes, and twiced placed in Grade 1 races. Second dam is stakes winner Wise Dame, who produced G2 winners Royal I.Q. and Mentor. Family also of stakes winner Schiffer, Wise King, Wise Wren, and stakes-placed Mastermind. Born 28-Nov-2017. Dam was undefeated stakes winner at 2, first winner and first stakes winner from Trippi's first crop in South Africa. Family of multiple G1SW Fanciful, multiple GSW Cover Look, etc.